Since 1818, families and businesses have been calling Norton home. Its rich history as a place to grow shows brightly at the annual Apple Cider Festival. At ProTech Security, we understand this history and have our own history of over three decades of keeping Northeast Ohio residents safe. When it comes to protecting the valuable assets of Norton, we have the experience and tools necessary to give you security and peace of mind with residential and commercial security systems you can trust. We understand that every case is different, so we don’t just sell you a system and walk away. We give you our advice as your neighbor and create custom solutions that protect your most important assets. Our security systems will allow you to have confidence that your home or business is as secure as possible. 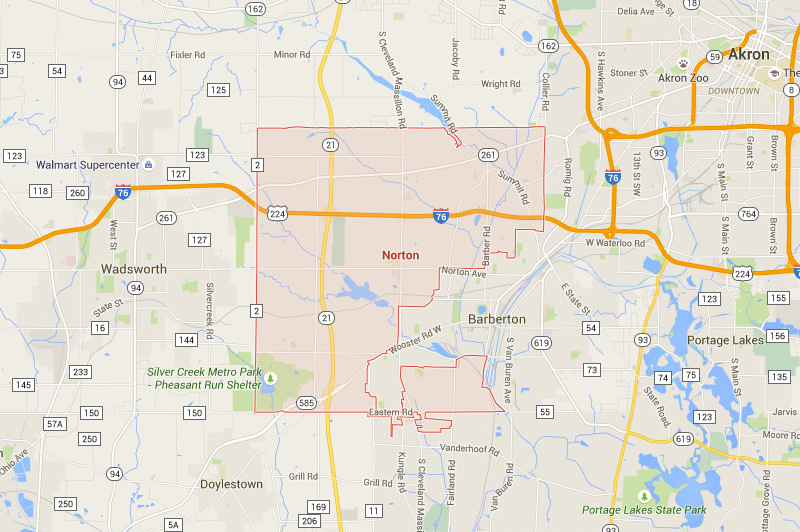 Interested in hearing more about the security services we offer in Norton, Ohio? We’re happy to talk about residential security systems for Norton that protect your loved ones and belongings. Investing in a security system that you can trust is key to making sure your home is protected and secure. We also offer commercial systems that protect the businesses, schools, and government institutions in Norton. Whether you’re coming in for work or locking up for the day, your building should feel secure. Our security systems offer a variety of solutions and services so you can assure that your building is well taken care of. We offer custom solutions for educational institutions and government facilities throughout Northeast Ohio. When you install a security system from ProTech Security, you’ll be adding a strong layer of protection to your building. Your employees and students will feel more guarded, and our services will make sure it stays that way. The ProTech Security Advantage is more than 35 years of service and a strong commitment to providing quality, cost-effective protection for homes, businesses, educational institutions, and government facilities. That includes a forward-looking philosophy that centers on the latest in IP (Internet Protocol) technology and IT (Information Technology), which is built with dynamic, non-proprietary systems. We’re proud to call Northeast Ohio home. For more information, contact us today. We've been protecting local families, businesses and organizations in Northeast Ohio since 1981. Let us build a custom security solution for your needs. The ProTech Security Advantage is more than 30 years of service in Northeast Ohio and a strong commitment to providing quality, cost-effective protection for homes, businesses, educational institutions and government facilities. We'd love to discuss your security needs with you. Want updates on the best security technology and services in the industry delivered to your inbox? Signup for our regular security eNewsletter. © Copyright 2019 ProTech Security. All rights reserved.